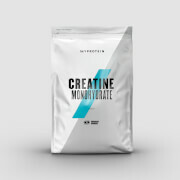 Creatine Ethyl Ester (CEE) is a more effective variant of the popular dietary supplement Creatine Monohydrate. 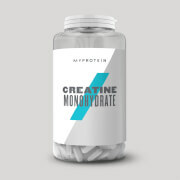 As the Creatine Monohydrate has been attached to an ester salt it is generally easier for the body to absorb it when combined to alternative sources. CEE helps provide a quick boost of ATP to the working muscles which in turn facilitates improvements in lean mass, strength and power. 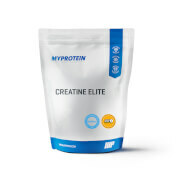 Easy to use providing fantastic results, Creatine Ethyl Ester is recommended to anyone who wants to improve their physique and sporting performance with no side effects. Creatine Ethyl Ester is an advanced supplement that takes the basic Creatine Monohydrate and boosts its constitution with the addition of ester salts. These ester salts make it more easily absorbed and ease uptake by your cells. Some of the benefits of CEE over traditional forms of Creatine are related to the fact that smaller doses are required to get the same effect, whilst the bloating and preloading phase are eliminated. If you don't like the taste of Creatine Ethyl Ester powder, why not try our CEE Tablets? Who is Creatine Ethyl Ester suitable for? CEE is perfect for athletes looking to improve strength, power and lean mass. It is a great option for those who suffer bloating or discomfort from other forms of creatine. When should I take Creatine Ethyl Ester? We suggest you take Creatine Ethyl Ester around 1 hour before a workout. On non-workout days take at the same time as a workout day. After 4-6 weeks of continued use take 1-2 week off and start period again. Dodajte 3g u vodu, promućkajte i koristite. Koristite 1 sat pre vežbi. U danima kada nemate trening, uzimajte u isto vreme kao u danima kada imate trening. Nakon 4-6 nedelje kontinuirane upotrebe napravite 1-2 nedelje nedelje pauze i počnite ponovo. Napomena: Preporučujemo da sve porcije budu merene tačnim mernim uređajima. Iako činimo sve da da obezbedimo tačne ekvivalentne mere koristeći naše Myprotein merice, ovo su samo približne mere i nisu zamena za standardizovane merne uređaje. Nemojte prekoračiti preporučenu dnevnu dozu. Ovaj proizvod je suplement hrane i s toga ne treba da se koristi kao zamena za raznovrsnu ishranu i zdrav životni stil. Čuvajte na suvom i hladnom mestu, van domašaja male dece. Napravljeno u objektu gde se rukuje i mlekom, sojom, jajima, glutenom i proizvodia od istih. Nutritivna informacija je bazirana na Nearomatizovanoj verziji, kada se bira drugačija verzija nutritivne vrednosti mogu da se razlikuju.